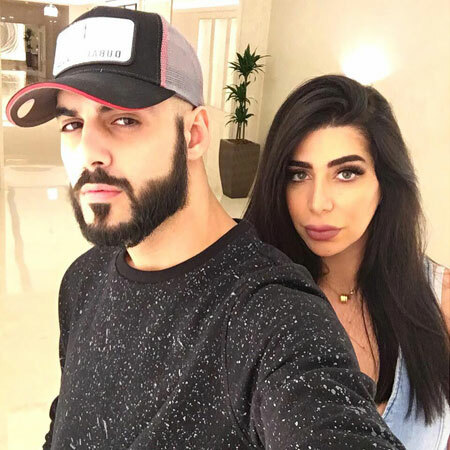 Home Article Omar Borkan Al Gala; Most handsome men of Saudi Arabia is happily Married. Find out who is his wife? 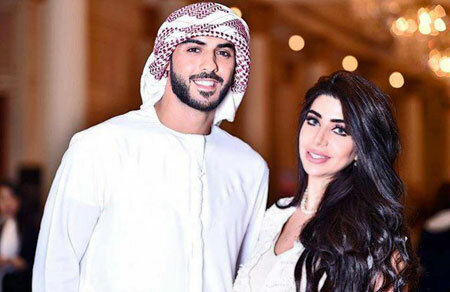 Omar Borkan Al Gala; Most handsome men of Saudi Arabia is happily Married. Find out who is his wife? The seductive gaze from those dreamy eyes with a face that's irresistible, every time we see the striking model, Omar Borkan Al Gala, we often wonder how can someone be this handsome? Back in 2013, Omar Borkan along with other two men were removed from a cultural festival in Saudi Arabia, and the reason behind this was that they were "too handsome"!! Sounds crazy right? The rumor spread like wildfire and Omar grabbed headlines where some sources even stated that he was banished from Saudi Arabia for being exceptionally handsome, but they were all baseless and false. And now, this Gulf man is staying put from the media and tabloids but what could be the reason? Is he dating someone or already married? Let's find that our! Sorry to break the news ladies! Saudi Arabia's stunning model, actor and a photographer, Omar Borkan is already taken. He is happily married to his wife, Saudi Arabia's fashion designer Yasmin Borkan since the past few years. The duo met each other at a fashion event, and the gorgeous Yasmin fell for the charming personality and those delicious looks of the actor right away. They dated for a couple of months and got married back in 2015 in a typical Saudi Arabian themed private wedding. Ever since the duo has been together and not a single rumor about them having any problems or getting divorced has been heard. The pair is going really strong together and enjoying their wedding bliss. They often go on romantic vacations and trips and it's without a doubt that the pair is having the best times of their lives. We wish this couple lifetime of happiness and togetherness and hope for their best in future endeavors. It's without a doubt that Yasmin and Omar are the perfect pair and now this perfect couple has turned to be a perfect family too!. The couple just last year gave birth to their first child, a son named Diyab Borkan. 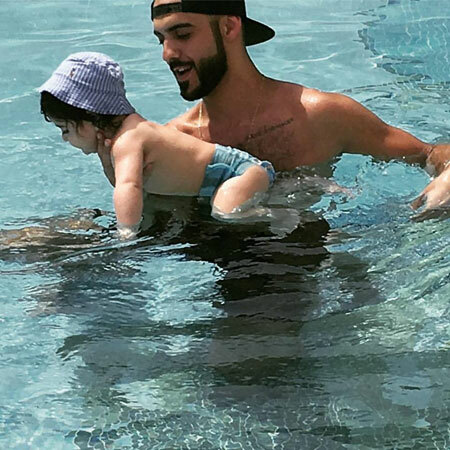 Omar loves his son a lot and spends most of the time with his son and family. He's not only a model but a loving father and caring husband. Born(September 23, 1989) in Baghdad, Iraq, Omar Borkan Al Gala is Saudi Arabia's most handsome actor and model. He is of mixed ethnicity as he is half Caucasian and half Arabian. He was raised in Dubai in the UAE where he started his modeling and acting career. In 2013, he became famous after being thrown out from a cultural festival in Saudi Arabia for being too handsome. He has become the face of a number of high profile brands including Samsung. Omar has a brother named Ain Borkan Al Gala. He's married to his wife Yasmin Oweidah and has a son named Diyab. He's one of the most searched personalities on the web and he has more than 900k followers on Instagram. For more latest gossips and updates, keep following our page. Have a great day! !